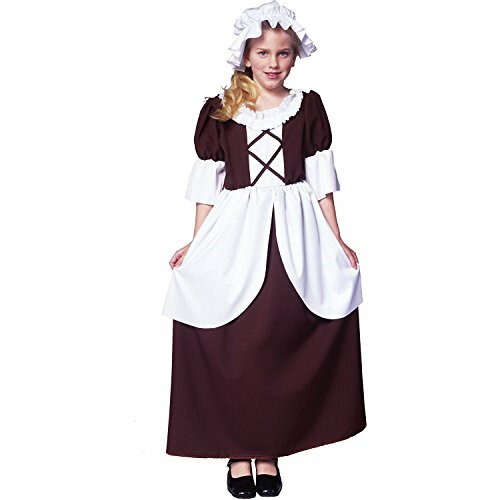 Arology Colonial Girl Costume is made of 100% polyester and flame resistant fabric. 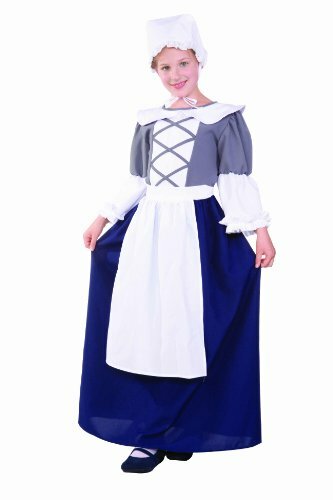 The costume is durable and stain resistant and great for Thanksgiving, Halloween, or any School and Church character history reports/plays. 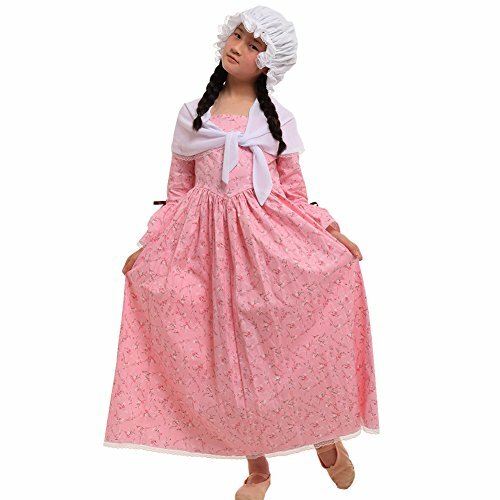 Package includes Dress (Apron is attached to the dress), Bonnet/Hat. 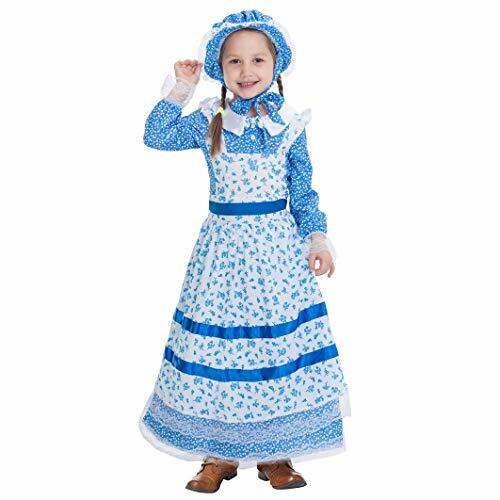 I made this to wear in the Pilgrimage to the Alamo parade for Fiesta San Antonio. 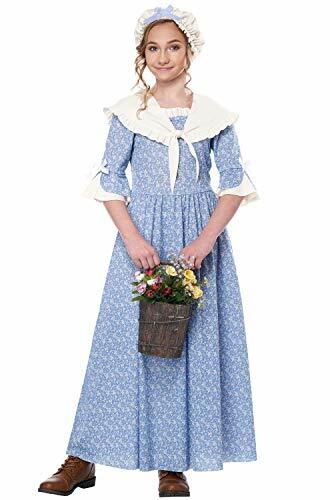 My Daughters of the American Revolution (DAR) chapter, Susanna Dickinson Chapter, NSDAR walks in colonial period costume as part of the parade.